My Brother’s Husband tells the story of Yaichi, a single father raising his daughter, and Mike Flanagan, a Canadian man who was married to Yaichi’s twin brother Ryoji. Mike travels unannounced to Japan after his husband’s recent passing. Yaichi must face his deceased twin’s sexuality and overcome his own preconceptions, and Mike learns what caused the brothers to drift apart. While we often think of Japan as being a place with relatively progressive politics with regards to queer sexualities, My Brother’s Husband gently alludes to the sort of small, everyday aspects of homophobia that ultimately drove Yaichi’s brother to leave. Yaichi never explicitly took issue with his brother’s being gay but, in his conversations with Mike, he begins to realize that maybe, on some level, he wasn’t as comfortable as he originally thought. There’s something beautiful in the careful way that My Brother’s Husband handles Yaichi’s coming to terms with his feelings about his brother that’s rarely seen in mainstream comics. Rather than treating the tension between Mike and Yaichi as a massively dramatic point on conflict, the book instead treats it like the complicated and messy holding pattern that it is. This isn’t seen in mainstream Japanese television, either. On Japanese variety programs, there are numerous LGBTQ celebrities, but they are often portrayed as bombastic and overblown. But so are their straight counterparts. Typically on Japanese television, there isn’t much room for thoughtful subtlety. The most common male-male relationships in manga and anime that Westerners know are typically aimed at women. 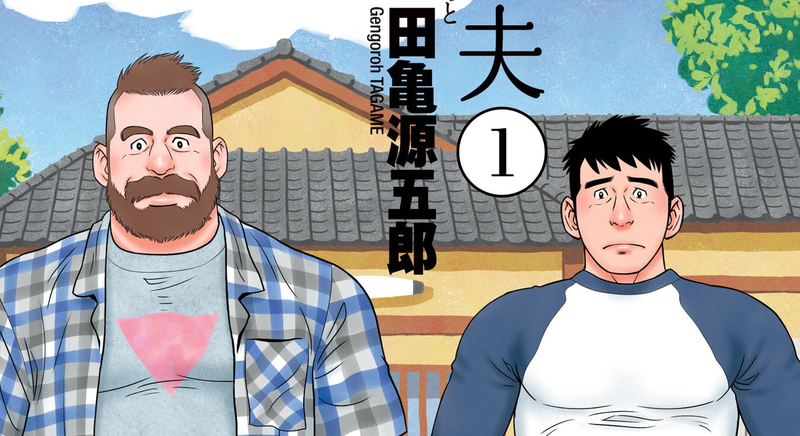 My Brother’s Husband, however, was created by openly gay manga artist Gengoroh Tagame, famous for his work in the bara (“rose” in Japanese) subgenre that is aimed directly at gay men. According to Natalie, the TV drama will debut on NHK’s BS Premium and will star Ryuta Sato as Yaichi and former sumo wrestler Baruto Kaito as Mike (both pictured above). The three-episode series will debut next March.